KCM’s History Club is an exciting opportunity for children 6 to 11 years of age to explore history and archaeology in a fun way. Using the Museum’s collection of objects as the inspiration, the club members take part in a whole array of hands-on workshops facilitated by Education Officer Claudia Köhler. As the sessions continue they choose areas of history they are interested in and develop their own projects. Past projects explored the Vikings in Kerry, St Brendan the Navigator and Antarctic explorer Tom Crean. We meet weekly in our bright and cheerful Activity Room from September until April and annual membership is available from as little as €10 per annum. 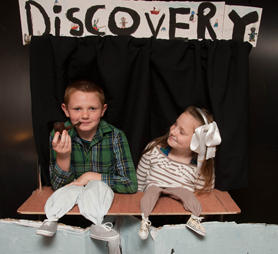 Tom Crean Puppet Show – In 2012 the Club members devised a puppet show based on the life of Tom Crean, which they performed to great acclaim to family and friends. 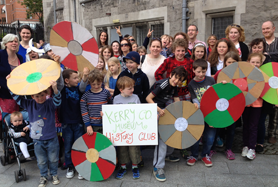 History Club On Tour – In June 2014 the club went on a magical tour to Dublin, visiting the National Museum of Ireland and the Viking centre Dublinia.